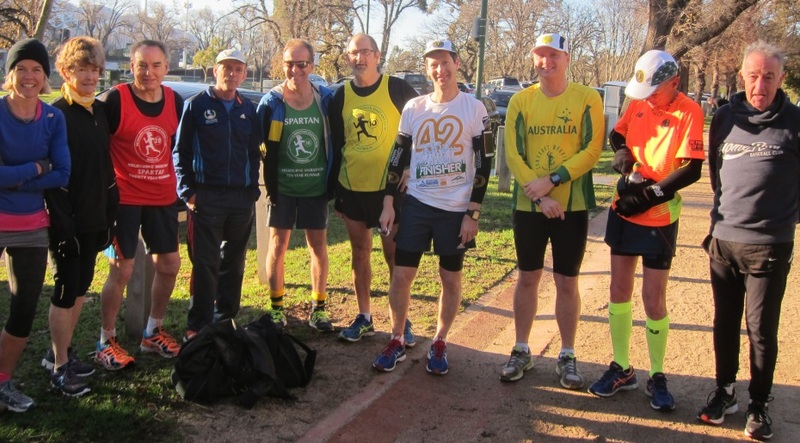 Comrades Legend Bruce Fordyce joined us for a run on 17 July 2016. 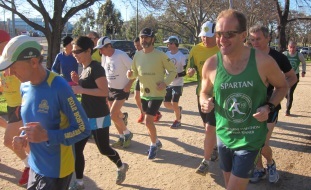 Bruce Fordyce, nine times winner of the gruelling Comrades ultra-marathon, joined the Spartans for a Tan run on the morning of July 17. 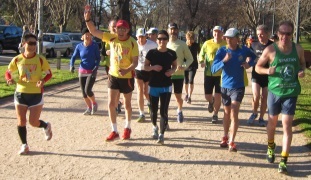 A number of Comrades runners also came along. 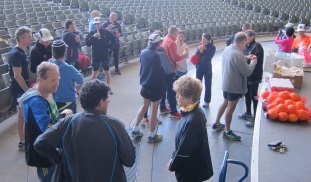 After a couple of leisurely laps, we adjourned to the Sydney Myer Music Bowl for some light refreshments and to hear Bruce share some of his experiences. 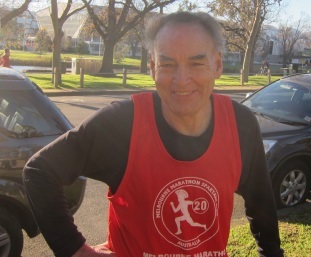 Bruce outlined his training regime when preparing for a Comrades. 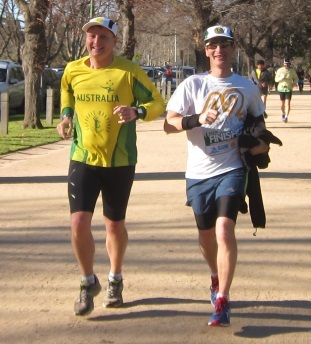 It combined considerable volume and some punishing hill, sprint, and track sessions to build the necessary endurance. 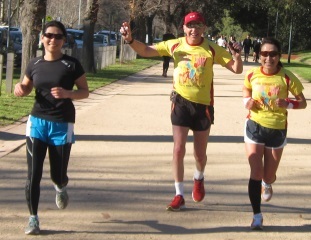 Bruce was adamant that no more than eight to ten weeks is necessary to prepare for the race. 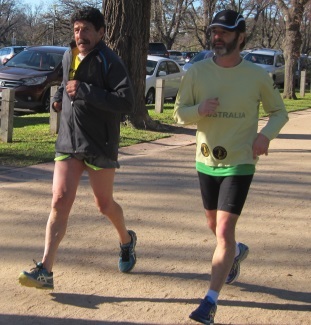 Of course, there has to be a solid base level of fitness, and two weeks is needed for a sharp taper. 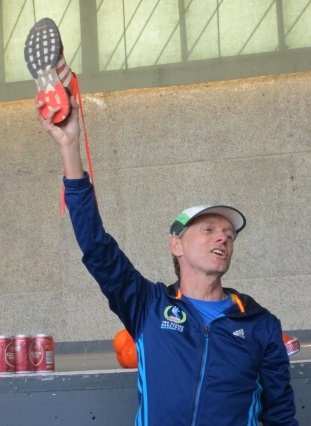 He believes that long runs should be taken at a slow pace, and that fitness is achieved when five and ten K times reduce. Bruce has recently enthusiastically adopted the Banting diet which has few carbohydrates and high fats. He is a very accomplished speaker and told a number of entertaining anecdotes. 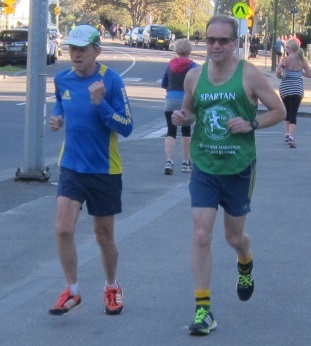 We have been unable to identify all runners, so if you can help please let us know through the contact page. 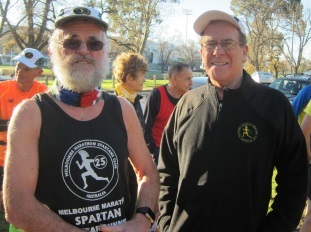 Steven Barker and Life Member Peter Ryan before the start of the run. 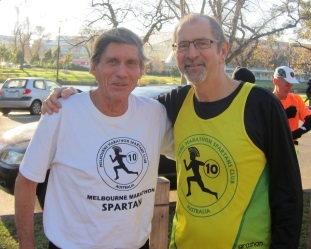 Treasurer Rod Bayley and Paul Ban. 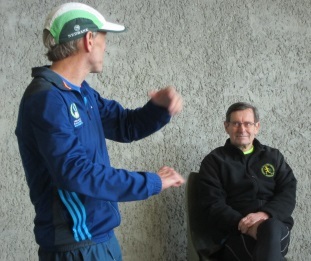 Bruce Fordyce on the left, Peter Seal on the right. 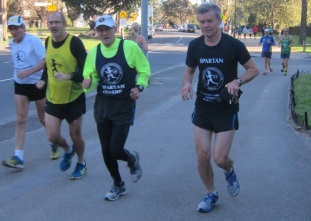 Rod Bayley, Paul Ban, John Dean and Jay Fleming. Legend Frank Biviano is on the left. 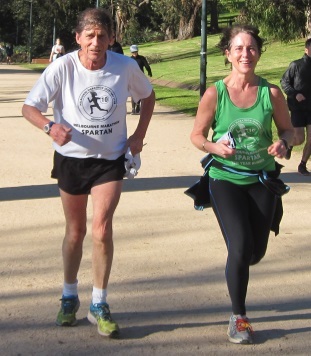 Rod Bayley with Cath Bombardieri. Refreshments at the bowl before Bruce gave his talk. You needed to hear the story to understand this photo, but trust us, it was hilarious. John Dean is all ears listening. 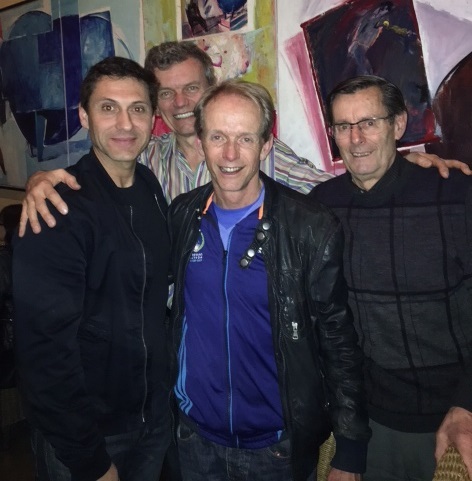 Spartans Committee member John Kaparelis, President Jay Fleming, Bruce Fordyce and past president and Comrades runner John Dean at dinner the night before the run.